Vancouver Not Vegas calls for a Review of the financing of the BC Place Stadium up grade and roof construction. Major urban stadiums are normally funded primarily through private sector contributions. • Cowboy Stadium in Dallas was 28% publicly funded following a public referendum, with the teams and corporate sponsors providing the balance. • BC Place Stadium is 100% publicly funded. There has been no disclosure of the business plan supporting this level of public investment. 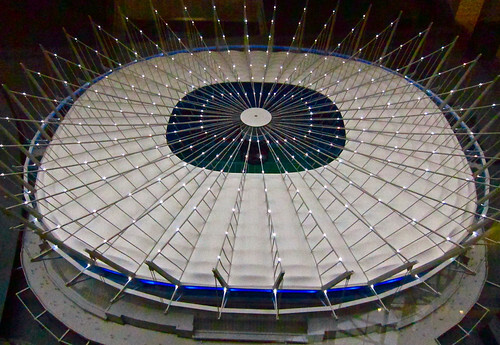 In the summer of 2009 the provincial cabinet was struggling with cost containment on the stadium roof, because estimates had nearly tripled from when the project was first proposed only one year earlier. Liberal donor, former BC Lottery Corporation (BCLC) chair and Edgewater representative Richard Turner threatened to withdraw Edgewater’s participation if cabinet did not approve the retractable roof. In this same period Rich Coleman was minister responsible for BCLC and for gaming grant distribution. He moved in the summer of 2009 to seize $36 million in budgeted and committed gaming grants, and institute long-term cuts that would provide another $200 million over 6 years to the government. “The public needs to know that financing of the roof construction was conducted in a responsible manner that best serves the interests of all British Columbians province-wide. Until these questions are answered, it seems that financing decisions were driven by the interests of Liberal donors and the Edgewater Casino,” says Lindsay Brown, co-founder of Vancouver Not Vegas. For more information on the stadium roof, its history and financing, please see our stadium roof post and a detailed timeline.